GarbGeek.com started as a simple idea: a place to sell our kickass tshirt designs. So, armed with the Adobe Creative Suite, a notebook full of awesome shirt ideas, and an indomitable work ethic, we created our store. Our goal is to become the leading source for garb, armor and gear for the geek community. It wasn’t long before we started wanting to do more for the Geek community. We sent our longships out on dangerous journeys to find the absolute best geek items to offer our customers: medieval armor, medieval garb and costumes, beautiful celtic and norse jewelery. 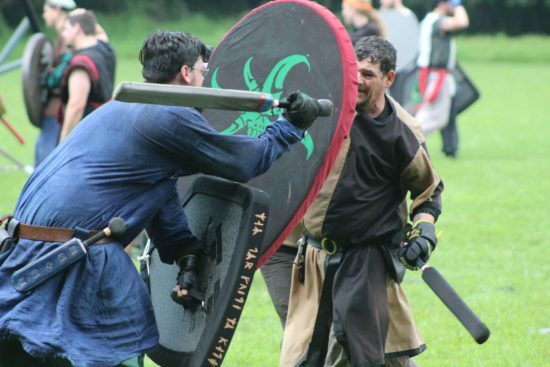 We strive to be a central hub for LARPers, Renaissance Faire lovers, SCA members, Dagorhir and Belegarth fighters, and every other geek or medieval enthusiast.